Home › foreverBlog › Blog, Events, News, Press › Charles “Peanut” Tillman Visits FY! Hawaii native Paul Balazs isn’t sure how he became a Bears fan, although he suspects it may have something to do with when he entered the world. ‘‘I was born in 1985,’’ he said. Balazs, a special education teacher in Honolulu, made his first trip to Chicago to watch his beloved Bears in person. He couldn’t have picked a better week. Balazs attended the 13-7 victory over the Detroit Lions at Soldier Field on Monday night, then met Bears cornerback Charles Tillman on Tuesday during ‘‘Street Tweets’’ with the Sun-Times. He got a picture with Tillman at the Nike store and also got an autographed poster. Dozens of others felt the same way. Tillman was warmly greeted by Bears fans at Fiat, Nike and Forever Yogurt. Several fans insisted he was their favorite player, with one even reminding him that he signed an autograph for his daughter at training camp. One fan brought a smile to Tillman’s face with a smooth line. ‘‘Let me see your hands because they must be magic,’’ she said. 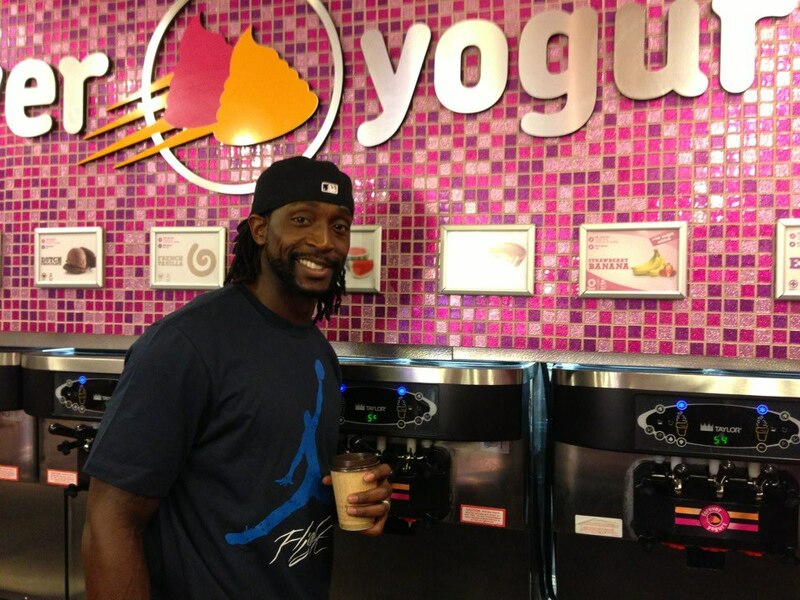 Tillman settled into a Fiat car and reveled in having a yogurt flavor — ‘‘The Peanut Tillman’’ — named after him. ‘‘It was a lot fun,’’ Tillman said.